Paul G. Janke, 86, formerly of Fredonia and Jamestown ND, died Friday morning, January 11, 2019 at his home in Goodyear, AZ. 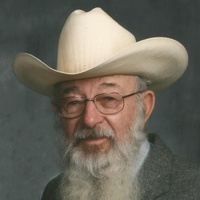 Paul was born April 15, 1932 to Gotthilf and Olga (Tiede) Janke in Janke Township near Fredonia, ND. After completing 8th grade, he helped on the family farm then was inducted into the US Army November 1953 where he obtained his GED. After serving a tour in Japan, he was honorably discharged October 1955. Paul was united in marriage to Alice Fiechtner November 3, 1957 at Martin Luther Lutheran Church in Fredonia, ND. They made their home on the Janke homestead, rural Fredonia, where they operated a dairy farm until 1986. For his next endeavor, he began an earth moving construction business operating heavy equipment. Paul and Alice also enjoyed the long cold North Dakota winter months in Mission Texas. In 2004, he retired and moved to Jamestown ND. In retirement, he enjoyed playing guitar, banjo and mandolin at nursing homes and many other local venues. He also enjoyed daily socializing with his coffee friends discussing a plethora of issues. Due to failing health, Paul and Alice moved to Goodyear, AZ and continued to spread joy to the residents at The Groves Assisted Living which they also called home. Along with being a dairy farm and businessperson, Paul was active in church, chairperson on local committees, Logan County Commissioner, and worked several jobs at the North Dakota State Capitol in Bismarck. Paul is survived by his wife, Alice; four children: Judy (Abel Cardenas) Petersburg, AK; Owen Janke, Jamestown, ND; Quinn Janke, Choctaw, OK; and Evanda (Bob) Staigle Buckeye, AZ; six grandchildren Brandi Janke (fiancé Andrew) Magum OK; Daniel (Robyn) Cardenas Petersburg AK, Catherine Cardenas Bellingham WA; Renada Krenzel Fargo ND, Rhiannon and Ethan Krenzel Buckeye AZ; one brother, Hugo (Judy) Janke, Kulm, ND; 2 sisters, Violet Krueger, Sebeka, MN; Erna Smith, Motley, MN, and many nieces and nephews. He was preceded in death by his parents, and two brothers; Roland and Arven; two sisters, Lorraine and Agnes; one infant brother Benjamin; and one grandson Hunter Krenzel.